This is the first volume in the Counterpoints Series, which explores the issues being debated in psychology, child development, linguistics, and neuroscience. Each volume consists of the presentation of three or four extensive chapters by researchers representing key points of view on the issue. 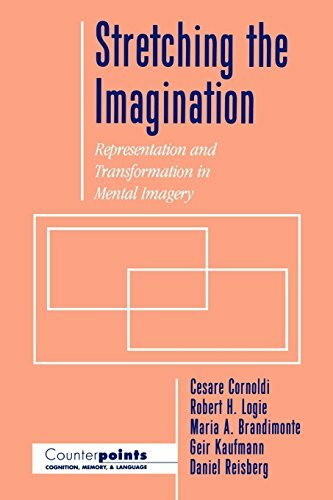 This text examines one of the liveliest areas of debate in psychology today, the relationship between perception and mental imagery. A variety of recent studies have pointed to the existence of a strong relationship between memory and mental representation, while others have shown that images are open to reinterpretation and manipulation, and are therefore not merely static impressions or mental representations of memories. Three core chapters by researchers in the midst of this debate--Maria Brandimonte, Geir Kaufmann, and Dan Reisberg--make up the central portion of this text. The first chapter is a historical overview of the problem as well as a review of the research in psychology and the argument as it has developed in related fields, such as philosophy and artificial intelligence. The last chapter pulls together all of the positions and points to new areas of research which may help uncover an explanation for the apparent contradictions in the research. Students and researchers in psychology and cognitive psychology will benefit from this comprehensive look at this heated debate.